Clearance Keyboards / Pianos & B Stock - Andertons Music Co. This is the place to find your next bargain keyboard, piano or synth - whether it be B-Stock or simply part of our clearance section. 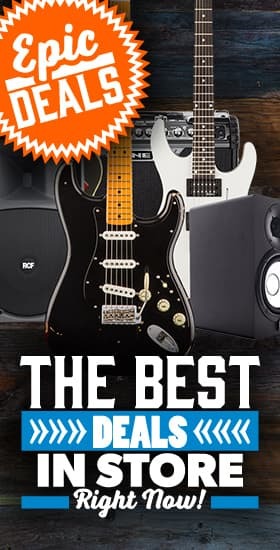 B-Stock equipment goes through strict checks with our returns and refurbishment teams that check over our returns and ex-demo guitars to make sure they are in the best condition possible before we list them online. Truth be told, most of the B-Stock items we sell just have a tatty looking box. The gear is often in pristine, as new condition (though do check the notes on the product page before buying) and simply 'unboxed'. Remember, we're adding new and exciting gear to this page all of the time, so check back often if you're a sucker for a bargain. The phrase 'one man's junk could be another man's treasure' has never been truer. Shop all clearance items here.